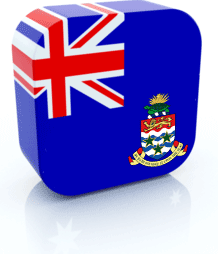 Cayman Islands - British Overseas Territories in the West Indies in the Caribbean Sea. The structure of ownership includes the islands of Grand Cayman, Little Cayman and Cayman Brac. Area - 259 km ². Population - 40 thousand people. (2005) - white, Creole, negros, mulattos. More than 4 / 5 of the population live on Grand Cayman. Administrative center - the city of Georgetown. Languages: English 95%, Spanish 3.2%, other 1.8%. Monetary unit - CI $. Cayman Islands - a thriving offshore financial center. It registered more than 68 thousand companies, including almost 500 banks, 800 insurance companies, 5 thousand mutual funds. In 1997 the Stock Exchange was opened. Company Law in the Cayman Islands. This legislation is based on the English Companies Act (1948), and basically, as amended, consistent with the Companies Law of Cayman Islands in 1960. It is with nominal or no par value, bearer shares, preference shares, redeemable shares with or without voting rights. Shareholder (s) and director (s) may be an individual or a legal person. Information about the directors and shareholders is not recorded in the state filing cabinet. There is a special Protection Act, under which disclosure of information or attempt to disclose information about a company registered in the Cayman Islands, is a criminal offense and punishable by law. There is no form of taxation in the Cayman Islands relating to individuals, companies or trusts. No taxes on income, capital gains, deductions from profits, dividends, investments or remittances. There is no requirement to file financial accounts. However, the annual report must be submitted, and it is a simple declaration. The company can not borrow from the population. Company name must end with the words (or acronym): Limited, Corporation, Incorporated, Societe Anonime and Sociedad Anonima. The following words or abbreviations can not be used in the name of the company: Assurance, Bank, Building Society, Chamber of Commerce, Chartered, Cooperative, Imperial, Insurance, Municipal and Royal.